North Korea has removed its top three senior military officials, a senior US official says, a move that expert think is aimed jump-starting direct talks with South Korea and the United States. The unnamed US official’s remarks on Sunday confirmed an earlier report by South Korea’s Yonhap news agency, Reuters reported Monday. Citing unidentified intelligence sources, Yonhap said North Korean Leader Kim Jong-un had chosen No Kwang Chol, First Vice Minister of the Ministry of People’s Armed Forces, to replace Pak Yong Sik as Defense Chief, while also replacing the Chief of General Staff of the Korean People’s Army (KPA), Ri Myong Su with his Deputy, Ri Yong Gil. North Korea’s state news agency KCNA had announced earlier that Army General Kim Su Gil was replacing Kim Jong Gak as Director of the KPA’s General Political Bureau. Kim says he is committed to a high-stakes summit with US President Donald Trump in Singapore on June 12, the first such meeting between a North Korean leader and a sitting US president. 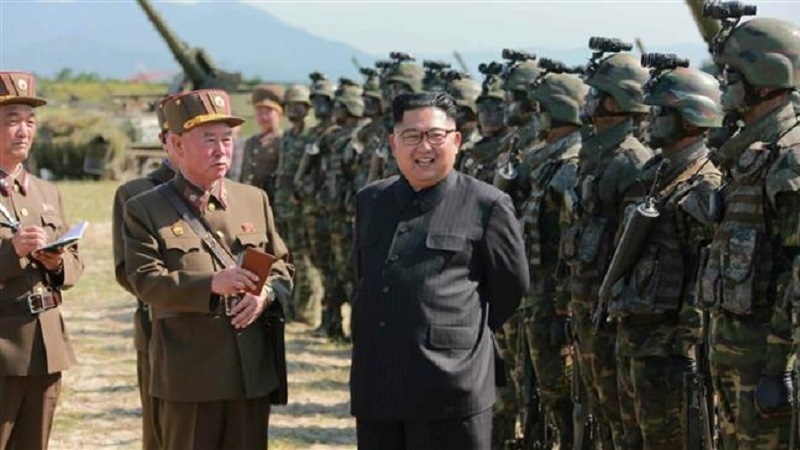 Analysts said the shake-up allows him and his ruling party tighten control over North Korea’s armed forces at a critical stage in the country’s history, as it awaits an era of what South Korea and America have hailed as international engagement and domestic development. “If Kim Jong-un is set on making peace with the US and South Korea and dealing away at least part of the nuclear program, he will have to put the KPA’s influence in a box and keep it there,” Ken Gause, Director of the International Affairs Group at CNA, a non-profit research and analysis organization, argued. “This reshuffle has brought to the fore the officers who can do just that. They are loyal to Kim Jong-un and no one else,” the analyst added. Other analysts said the move by Kim will ultimately help North Korea’s military force take on a bigger role in critical infrastructure projects. This idea gained more momentum after General Political Bureau, Army General Kim Su Gil, accompanied the North Korean leader on a recent trip to a beach tourist zone. All the three appointees are significantly younger than their predecessors, a fact that consolidates Kim’s position as the leader and strengthens cooperation between the North’s party and military in such high times, said Yang Moo-jin, professor at the University of North Korean Studies in Seoul.